Mexico is welcoming the Fourth Industrial Revolution with open arms, but is it ready for this massive transformation? Can it take advantage of the opportunities? Can it overcome the challenges? Perhaps whether or not it can is not the right question. Based on the world’s experience with the previous three industry revolutions, Mexico will have to transition into Industry 4.0 sooner or later. It’s not a matter of if but of when and how. To keep up with i4.0 and thrive in this new environment, Mexico will have to master next generation technologies, champion greater education initiatives and lay the regulatory groundwork to capitalize on i4.0’s potential in an industry that accounts for 50 percent of the country’s exports. The promise of i4.0 is alluring: unprecedented efficiency and flexibility, access to realtime data and M2M communication, production lines that run smoothly and without unscheduled stops, final products that are identical, no waste of raw materials, production yields that are exactly as they should be, low energy costs, and the list goes on. The new technologies will allow manufacturers to optimize their production processes in previously unimaginable ways, personalize products, reduce costs and become more versatile and competitive, locally and internationally. 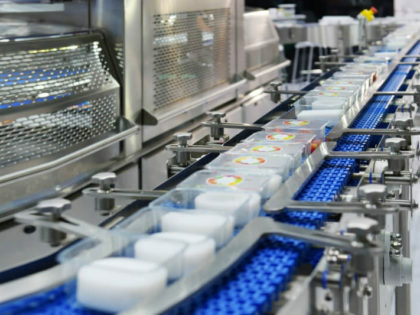 According to a report by Mexico’s Ministry of Economy, an i4.0-driven reduction of costs and miniaturization of sensors and processors will lead to a network of 50 billion connected devices (most in manufacturing systems) by 2020. Network and processes will no longer be connected to a single factory but to multiple factories and regions via i4.0 technology. (First) Industrial Revolution: 18th to 19th centuries–steam engine, iron and textile industries. Second Industrial Revolution: 1870 to 1914–electric power, internal combustion engine, telephone, phonograph. Digital Revolution (Third Industrial Revolution): 1980s to present–information and communications technology, personal computers, Internet, automation. Most manufacturers moving toward i4.0 expect their tech investments in to pay off handsomely. According to the Industry 4.0: Global Digital Operations Study 2018 by PwC (Pricewaterhouse Coopers), out of 2,000 manufacturers surveyed, 86 percent expect to see cost reductions and revenue gains from their digitization efforts over the next five years. The same PwC study found that smart digitization and automation in manufacturing will contribute 14 percent to the global growth domestic product, or $15 billion, by 2030. Companies that (a) report advanced or very advanced levels of digitization and integration, (b) already have invested in i4.0 and (c) rate themselves ahead of competitors in this area are forecasting more than 30 percent in revenue gains and more than 30 percent in cost reductions, according to PwC’s 2016 Global Industry 4.0 Survey. Accenture’s 2016 Upstream Oil and Gas Digital Trends Survey found that 53 percent of companies consider digital technology a benefit, and 56 percent believe that entering into the digital world improves decision-making. Munich, Germany-based Siemens, the largest industrial manufacturer in Europe, predicts i4.0 will be a reality in Mexico with a 100-percent penetration by 2030. The i4.0 disruption opens new challenges and new business opportunities for Mexican manufacturers. Under the i4.0 model, Mexico’s current forte—cheap labor and high production capacity—will not be enough to make it in this brave new world. 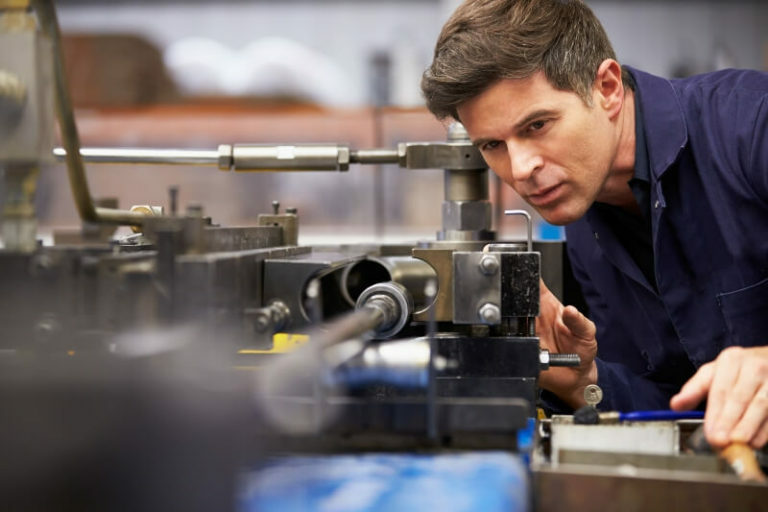 Unlike the traditional manufacturing plants, i4.0 manufacturing will rely on advanced technology, the capability to make extremely complex products, continuous innovation, and a highly skilled workforce. Mexico is a world-class manufacturing hub, exporting more than $1 billion per day, 50 percent of which comprises manufactured products, according to a 2016 Industry 4.0 report published by Mexico’s Ministry of Economy. More than 80 percent of high tech exports in Latin America are produced in Mexico, with the country exporting even more sophisticated goods than Canada, the ministry said. Production of these hi-tech goods has helped Mexico develop generations of production plant directors, operators and engineers that have the skills needed to transition into i4.0, the ministry reported. 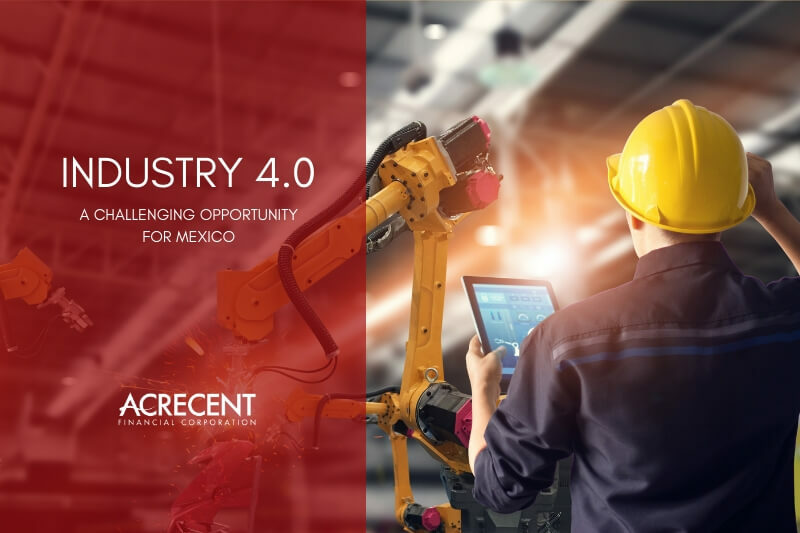 Industry 4.0 represents a window of opportunity for Mexico with considerable potential, since it would allow the convergence of two distinctly competitive strategic sectors in the country: manufacturing and information and communication technologies, according to the report. Of particular importance for Mexico are the automotive, aerospace and energy industries in which the country excels and which are posed to be among the most transformed by i4.0. Opportunity does not come without challenges. A Boxer SK industrial sweeper costs about $40K, about the same as nine average annual manufacturing salaries in Mexico. The machine requires one operator and gasoline. Do you pay for the machine or do you pay for labor? The fear of a labor apocalypse in manufacturing due to new technology is not new; manufacturers and workers faced the same dilemma during previous industrial revolutions, with workers always fearing being replaced by machines. But in Mexico, this dilemma is less likely to be an issue this time around because of the high cost of investing in i4.0 technology versus the low cost of labor. A BOXER SK INDUSTRIAL SWEEPER COSTS ABOUT $40K, ABOUT THE SAME AS NINE AVERAGE ANNUAL MANUFACTURING SALARIES IN MEXICO. DO YOU PAY FOR THE MACHINE OR DO YOU PAY FOR LABOR? 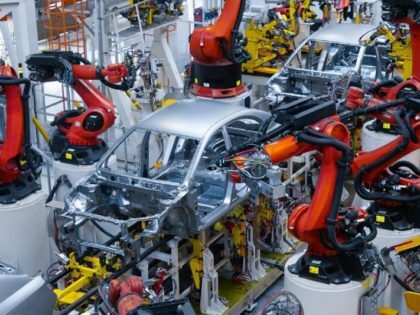 Automation begins to be adopted only when its cost is equal to that of labor, according to a McKinsey Global Institute report entitled “Jobs Lost, Jobs Gained: Workforce Transitions in a Time of Automation.” Industry 4.0 will require huge investments that will be evaluated through a cost-benefit scheme. When paying for labor is cheaper than paying for machinery, companies will choose labor; therefore, the low-cost labor will slow down the i4.0 revolution in Mexico, Forbes recently reported. Mexico’s minimum wage is 88.36 pesos a day, or about $4.75, and the average monthly per capita income is about 2,216.86 pesos (in 2017), or almost $119, according to Forbes’ report. That is nothing compared to the cost of acquiring i4.0 technologies. A Mexican workforce that is relatively young and skilled, 48-hour work weeks, constant devaluation, and the bureaucratic role of labor unions further make human capital affordable, competitive and attractive to manufacturers, Forbes reported. Industries that produce goods for which consumers are willing to pay a premium—autos and medical devices, for example—are more likely to be able to afford transitioning into i4.0 than companies that make cellphones or home appliances. So, as always, it comes down to what the end-consumer is willing to pay for goods. IT COMES DOWN TO WHAT THE END-CONSUMER IS WILLING TO PAY FOR GOODS. While human workers still trump machines in some sectors, salaries eventually will rise, technology’s pressure will increase, and it will be do or die: as in previous industrial revolutions, manufacturers will have to adapt and adopt i4.0 technology. Efficiency, quality, flexibility and productivity will demand it. Paying for a robot that can work 24 hours a day at 100 percent capacity without vacation time or medical benefits will be more practical and cost-effective than paying for labor. In response to the pressing industrial revolution, the Mexico government has launched several initiatives designed to facilitate the transition into i4.0. CIMAT: a research center for robotics and analysis of multidimensional data and pattern recognition. CIATEC: a center designed to reduce the costs and time of assembly plants in the region, focused mostly on the automotive industry. CIDESI: a research and industrial development center that provides technological services for the aeronautic and automotive industries and conducts research in flexible manufacturing, intelligent manufacturing, high mix and low volume manufacturing, among others. INFOTEC/FIWARE: a lab where colleges, research centers, cities, companies and other organizations can experiment with the use of technologies related to the IoT, big data and cloud computing. Mexico Alliance 4.0: a project for guiding companies toward industrial re-conversion. National Digital Strategy: a plan that promotes advanced technology through a joint effort of various ministries. Program for Software and Innovation Industry Development: supports digital entrepreneurship and IT development in SMEs. Sources: Forbes, PwC, Mexico Ministry of Economy, McKinsey Global Institute, Vanguardia Industrial, Mexico Cumbre de Negocios Business Summit, Nearshore Americas, Cluster Institute, Omega Engineering, Fiware Mexico.